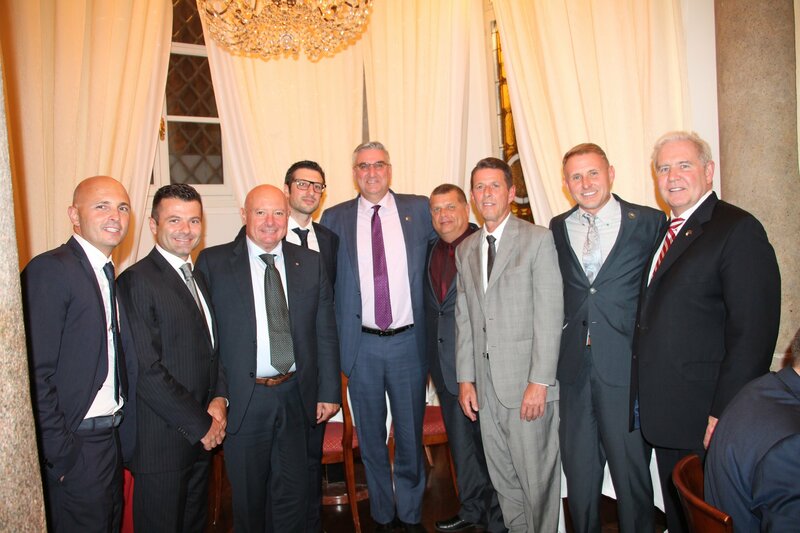 MILAN (Sept. 20, 2018) – Governor Eric J. Holcomb and Delaware County officials joined Filtrec S.p.A., an Italy-based manufacturer of filters and filter elements, in Milan this week as the company announced plans to locate its first U.S. operation in Indiana. The company will invest $1.3 million to establish a facility in Daleville, which will serve as the company’s North American headquarters. Filtrec S.p.A, which is headquartered in the Province of Bergamo in northern Italy, will establish Filtrec North America at 12690 W. County Road 550 S. in Daleville in order to expand its market and supply to North America, serving customers across the U.S., Canada, Mexico and Latin America. The company will initially occupy a 5,800-square-foot facility, with plans to double or triple its footprint in the next five years, that will include office space for the company’s executive and sales teams as well as 4,300 square feet of state-of-the-art manufacturing space, allowing the company to produce high-quality hydraulic filter elements and filter assemblies for applications on suction, pressure and return lines of hydraulic systems. Established in 1991, Filtrec S.p.A. designs, produces and supplies filtration products for a variety of fixed and mobile applications, ensuring the cleanliness of oils and fluids in hydraulic and lubrication systems to maintain the system’s efficiency and reliability. With locations in Australia, China, Germany, India, Spain, Turkey, UAE, Brazil and the UK, Filtrec serves customers in markets of agriculture, heavy machinery, forestry as well as foundries, steel plants, paper mills, oil and gas companies and more. The Indiana Economic Development Corporation offered Filtrec North America up to $275,000 in conditional tax credits based on the company’s job creation plans. These tax credits are performance-based, meaning until Hoosiers are hired, the company is not eligible to claim incentives. The Delaware County Redevelopment Commission also offered incentives up to $12,500 at the request of Delaware County Economic Development and Redevelopment. This news comes during Gov. Holcomb’s three-day economic development trip to Italy, which, like Indiana, has a strong automotive sector. 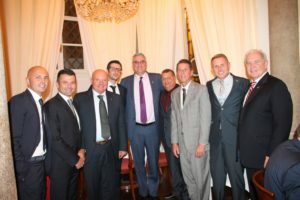 Filtrec S.p.A. is the 31st Italian company to establish operations in Indiana, joining businesses like OMR Automotive in Speedway, Fontana Group in Frankfort and Rochester (Acument Global Technologies) and Valbruna Group in Fort Wayne. On Wednesday evening, the governor hosted a Friends of Indiana reception in Milan, convening business executives and government officials with ties to Indiana and Italy, including executives of Filtrec S.p.A.
PHOTO: Filtrec S.p.A. announces plans to establish a North American headquarters in Daleville, Indiana, at a Friends of Indiana reception in Milan on Wednesday, Sept. 19. From left to right: Andrea Pernici, Filtrec; Christian Lochis, Filtrec; Sergio Modina, Filtrec; Giacoma Modina, Filtrec; Gov. Holcomb; James King, Delaware County Commissioner; Bill Walters, East Central Indiana Regional Planning District; Brad Bookout, Delaware County Director of Economic Development and Redevelopment; and Jim Schellinger, Indiana Secretary of Commerce.